Announced today, the University has again made significant strides in the influential national guide, rising seven places in the overall table. The Guide places Teesside at 85th, meaning the University has risen 16 places in the last two years and continues its upward trajectory across all national league tables. The Times and Sunday Times Good University Guide provides definitive rankings and a comprehensive overview of universities across the UK. It places Teesside University in the top 30 institutions for student satisfaction with the quality of teaching and the top 40 for graduate prospects. 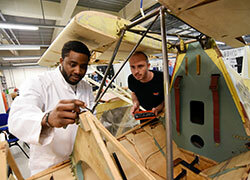 It also praises the University for its wide range of new courses and its degree apprenticeships offer. This is the latest in a series of improvements in UK university rankings for Teesside University. Earlier this year Teesside climbed 11 places in the 2019 Guardian University League Table and was ranked 68th out of 121 institutions. The Times Higher Education Student Experience Survey 2018 placed Teesside at 34 out of 116 institutions, climbing 24 places from last year’s survey. The University rose nine places in the Complete University Guide 2019 and The Whatuni Student Choice Awards 2018 saw Teesside University rise to 15 out of 126 higher education institutions in the University of the Year category, climbing 51 places on 2017. Professor Paul Croney, Vice-Chancellor and Chief Executive at Teesside University, said: 'We are delighted to see yet another rise in this year’s Times and Sunday Times Good University Guide. This continues our positive upward trend in every major national league table measuring academic performance, teaching quality and student experience over the past two years. 'Teesside University is striving for excellence in all areas and we are committed to providing the very best student and learning experience. This continues our positive upward trend in every major national league table measuring academic performance, teaching quality and student experience over the past two years. Teesside University has invested heavily in its campus and recently announced its £300m campus masterplan, which provides a blueprint for how the University campus will develop over the next ten years. 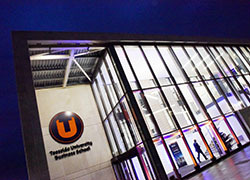 Ongoing projects include a £12.5m Student Life Building to bring all student facing services together in one location, significant transformation of student accommodation, the first phase of developing a new home for Teesside University Business School, and the £22m National Horizons Centre, a biomedical research, education and skills facility at the University’s Darlington campus. 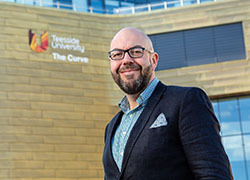 Teesside University received a silver ranking in the Teaching Excellence Framework and in July was included in the Times Higher Education (THE) European Teaching Rankings 2018, further enhancing its reputation nationally and internationally. Professor Mark Simpson, Pro Vice-Chancellor (Learning and Teaching), added: 'To be placed in the top 30 universities for student satisfaction with teaching is a fantastic achievement. 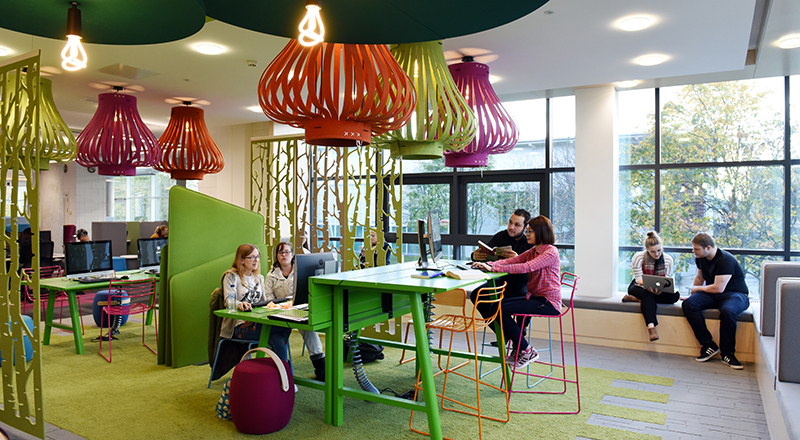 We have launched a range of ambitious initiatives to further improve the student experience, such as Future Facing Learning, where we are empowering students and academics with the latest technology to enhance learning and teaching even more.